Our winter cleaning services can make this winter in your Charlotte home a bit more festive and enjoyable. It can be challenging enough to overcome the doldrums that the winter can bring here in Charlotte, North Carolina without facing the added cleaning tasks that occur. 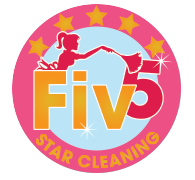 Rather than deal with tracked in messes and the other attacks to your clean home, call us at Fiv5Star Cleaning to find out about our winter cleaning services. We’ll take care of that slushy winter snow and ice that take over your entryway and give your home a freshness that will make you think it is summertime. Winter isn’t all gloom in our lovely area. In fact, there are many winter activities to enjoy. Wouldn’t you rather spend your free time enjoying them instead of being stuck at home doing winter cleaning? With our affordable prices and reliable, professional work, you’ll find yourself in great spirits all winter long, and your family will enjoy the extra time with you. We also offer winter cleaning for businesses, so you can keep a good impression for your customers, even when things get a bit “under the weather.” Having a clean workplace is the best way to avoid illnesses that can threaten productivity and profits. Help your staff avoid this year’s flu season with our thorough and efficient winter cleaning services. Turn to us for winter cleaning, as well as throughout the year whenever you want to free up some time or get a helping hand for a special gathering. We can help you make your holiday parties easier, too, not only with our winter cleaning services, but with some of our other services, as well, such as serving food at parties, picking up dishes, and so forth. In fact, we can handle just about anything you need! Call today to learn more. At Fiv5 Star Cleaning, we offer winter cleaning services in Charlotte, Concord, Cornelius, Gastonia, and Mooresville, North Carolina, as well as Rock Hill, South Carolina.